Sweep your loved one off her feet as the two of you onboard Luxury Yacht for an intimate and romantic cruise like no other. 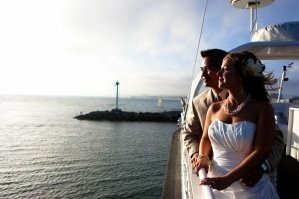 In the middle of the sea, on the verge of limitless horizons and beautiful blue sky is where you tell your love story. This will be the experience for you and your special someone will remember for years to come. Story of love is always very unique and we think no one can share other than one and only “special” escape in backwater with your loved one and you can make that life event live forever with you.